Thrill seekers, adrenaline junkies and even regular white-collar people are constantly looking for a new way to have an incredible time trying their luck at extreme sports which vary from the fun ones to the absolutely crazy! To whatever degree, extreme sports all come with a certain wow factor, delivering a special sense of appeal. Here is our complete list of extreme sports that will get you out of your shoes, listed in alphabetical order. Abseiling means a controlled descent off a cliff side on a rope. Though sound easy, this extreme sport can be rather dangerous, which is why people must ensure complete safety by improving their skills and purchasing high-quality rappelling equipment. It’s a form of inline skating that uses specially designed inline skates with focus on grinding and spins. This extreme sport is also known by the name rollerblading, blading, rolling, or skating. The sport is usually executed at skateparks or on found street obstacles. Airboarding got its name from the AirBoard, an inflatable board resembling a bodyboard. This little aircraft moves in reaction to shifts in the rider’s weight and flies thanks to four propellers. The rider is standing in a vertical position, and the aircraft speeds up the moment the rider shifts forward. This vehicle calls for some skills, but it is also a great adrenaline trigger. An extreme sport to some and not as much to others, Alpine skiing involves moving through the snow on a pair of skis. 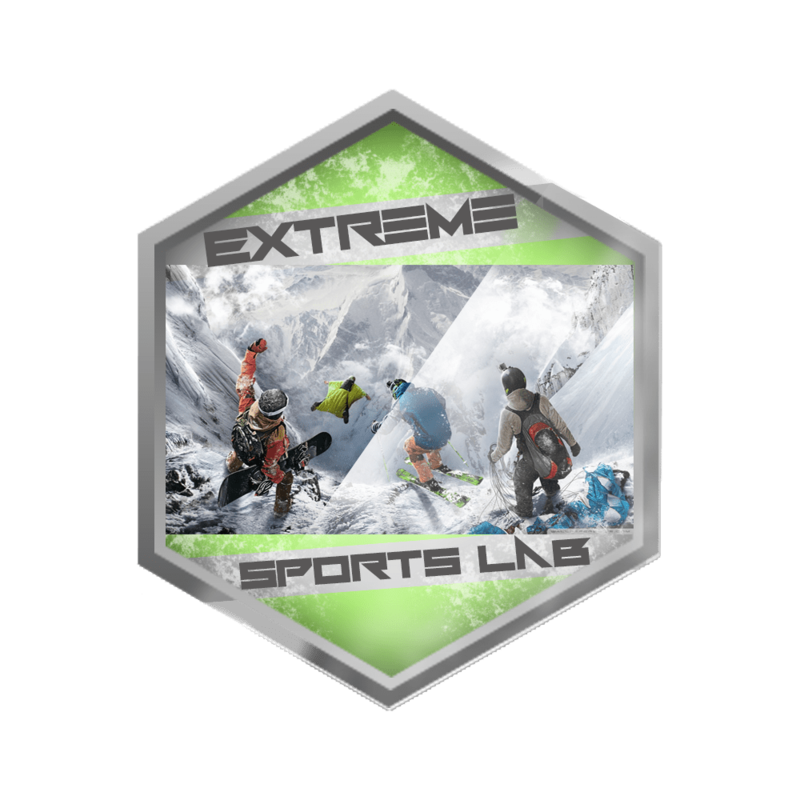 Whether it is extreme or so extreme greatly depends on a few things such as the speed and the slopes the skier chooses to go. Barefooting is basically water skiing without the skis. Barefooters must travel at speeds up to about 40mph to stay above the water. To preserve the balanced position, the participant’s weight and the speed of the vehicle pulling the participant is calculated prior to the actual barefooting activity to ensure the best technique. Finally, barefooting competitions include slaloms, tricks, and even jumps. The sport involves jumping from a fixed structure using a parachute or wingsuit. This free falling at the speed of over 100 mph is the thrill unmatched by many other extreme activities. BASE is an acronym for Building, Antenna, Span, and Earth, which are the different structures jumpers can jump off of. Proximity to other objects, unpredictable wind gusts, and the short period of time to deploy the parachute are just some of the reasons why BASE jumping is so popular among many adrenaline junkies. What’s more, the sport is illegal. This winter sport, which combines cross-country skiing and rifle shooting, consists of a race in which participants ski through a cross-country trail system and take shots at certain points of the system. The winner is a contestant with the best shooting performance and shortest total time. The thing about this sport is its two parts. First, you have to make it to the top of an ungroomed, treacherous, snow-covered mountain (often via chopper) and slide down to the bottom giving your best to evade all those nasty spills or potential raging avalanches. Are you ready to take the risk and face potentially life threating obstacles? Participants sit on a giant airbag, usually referred to as a blog and placed in the middle of a lake, and another participant then jumps on it and the person already on the blog is launched into the water. The heavier the jumper, the bigger the liftoff. BMX racing is nowadays one of the most popular off-road biking activity. There is traditional BMX racing and then there’s BMX freestyle, both of which can trigger adrenaline rush, especially the latter where riders attempt to pull off impossible tricks. The sport brings about exhilarating emotions, involving more skill than meets the eye. This sport has become popular with the release of the movie Cool Runnings. Bobsledding involves teams of two or four driving through narrow iced tracks in a gravity-powered sled. Bobsleighs can go up to 93 mph, with the current world record being 125 mph. In general, this sport requires a lot of skill, and without it, it can be very dangerous. Bodyboarding, also referred to as Boogieboarding due to the invention of the “Boogie Board” by Tom Morey, is a water sport where the surfer rides a bodyguard on the face, crest, and curl of a wave that is carrying the surfer towards the shore. The average bodyboarding is made of a short, rectangular piece of hydrodynamic foam. Bouldering is known as the rawest and purest form of rock climbing. Athletes climb rock faces with security ropes or harnesses. They test their skills by starting from the floor with short climbing routes on specifically designed, low-height climbing walls, allowing the athlete to climb without any major risks of injury from a fall. This form of climbing can be done without any equipment. 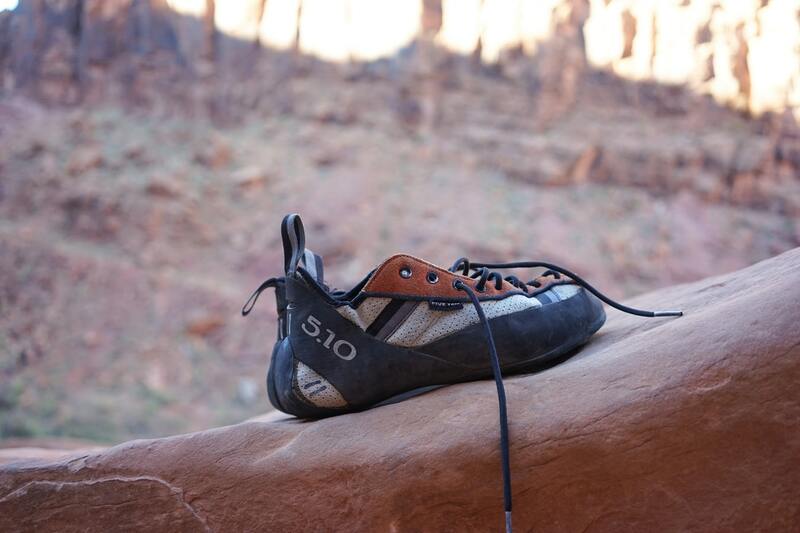 Still, most will use climbing shoes and chalk to allow for extended climbing. Bungee jumping is an activity involving jumping from a tall structure while connected to a large elastic cord. The tall structure is usually a fixed object in the form of a building, crane, or bridge. However, it is also possible to jump from movable objects, such as helicopters or hot-air-balloons, which have the capacity to hover above the ground. The thrill comes from free falling and the rebound, as the cord stretches and the jumper flies upwards again until the kinetic energy is dissipated. Canoeing is a recreational activity and extreme sport at times involving paddling a canoe with a single-bladed paddle. In some parts of Europe, canoeing refers to both canoeing and kayaking. A recreational form of canoeing is canoe camping. Canyon swinging can be told what it’s about judging by the name. The athlete lowers themselves down a cliff, usually by around 100m, and a specially designed system that allows you to swing horizontally and vertically. This activity usually provides spectacular scenery and those with lower self-confidence can usually adjust speeds to their desire. Cave diving is underwater diving in water-filled caves. You can do the sport as a way of exploring flooded caves for scientific purposes. The equipment used varies depending on the circumstances and ranges from breath hold to surface supplied. However, one thing is constant; almost all cave diving is done with scuba equipment, often in specialized configurations. Caving is one of the extreme sports that require technical skills due to the conditions that all depend on the cave that is being explored. Sometimes, they can be dark with various uneven surfaces, small spaces, and water hazards. Some don’t consider caving an extreme sport due to the slow-paced exploration nature of caving, but there is a number of potential dangers that you can come across while performing the sport. Cliff jumping is a jumping off a cliff as a form of sport. It may be also known as tombstoning when done without equipment. It forms part of the sport of coastal exploration or “coasteering”. It is known as BASE jumping when done with a parachute. The world record for cliff jumping is currently held by Laso Schaller, with a jump of 58.8 m (193 ft). Coasteering is a form of an extreme sport that encompasses movement along the intertidal zone of a rocky coastline either on foot or by swimming, without the help of surfboards, boats, or other craft. Cross-country skiing is a type of skiing where performers use their own locomotion to move across the snow-covered terrain, rather than relying on ski lifts or other forms of assistance. Even though widely considered as an extreme sport, cross-country skiing is still used by some as a means of transportation. Variants of cross-country skiing are adapted to a range of terrain which encompasses unimproved, sometimes mountainous terrain to groomed courses that are specifically designed for the sport. Curling is a type of extreme sport where players slide stones on a sheet of ice towards a target area which is segmented into four concentric circles. It is related to boules, bowls, and shuffleboard. Two teams, each with four players, take turns sliding heavy, polished granite stones, also called rocks, across the ice curling sheet towards the house, a circular target marked on the ice. Each team has eight stones. The purpose is to accumulate the highest score for a game; points are scored for the stones resting closest to the center of the house at the conclusion of each end, which is completed when both teams have thrown all of their stones. A game usually consists of eight or ten ends. Even though widely used as a means of transportation, dog sledding can also be a type of extreme sport, also known as dog sled racing. It includes a sled that is pulled by one or more sled dogs traveling over ice and through the snow. There is a great number of different types of sleds used, depending on their function. In Greenland, the dogs pull in a fan shape in front of the sled opposed to other regions where to dogs pull side by side in pairs. Downhill skateboarders use hybrid longboard with longer decks, wider trucks, and softer wheels, enabling them to reach extremely high speeds. There are different longboards for every style, purpose or terrain and the designs are continuing to evolve and adapt to the skater’s needs and new ideas. Drifting refers to a driving technique and to a motorsport where the driver intentionally oversteers, inflicting loss of traction in the rear wheels through turns, while maintaining vehicle control and a high exit speed. Professional drifting competitions are held worldwide as a motorsport. Drift challenges drivers to navigate a course in a sustained sideslip by exploiting coupled nonlinearities in the tire force response. This action-packed sport involves all types of flips, tricks, and jumps up to 9 feet in the air using a pogo stick. The sport is dangerous and requires skill at the same time, which is more than enough for all extreme sports enthusiasts to love this sport. As a result, extreme pogo is becoming more and more popular among adrenaline junkies. Extreme skiing is performed on long, steep slopes in mountainous terrain. Because of the extremely long, steep slopes, and dangerous terrain, a single mistake at the wrong moment can and have lead to serious injuries or lethal consequences. It seems that this is exactly why the sport is popular among skiers. Although similar to snowboarding, surfing, and wakeboarding, flowriding is different in the sense that it is practiced on an artificial wave machine which pumps a powerful three-inch layer of water at the speed between 20-30mph. Flowriding has become a competitive sport in the recent past, with the two division being flowboarding and bodyboarding. What makes this sport interesting that while practicing it, the performer can do tricks and entertain the spectators. FMX or Freestyle Motorcross consists of modified bikes that have been tailored to perform air born tricks. The front and rear fenders are cut shorter so that nothing on the rider gets caught on the bike. The airbox covers are cut out larger for a grab hole, for when the rider needs to grab under the seat to do a superman seat grab and other tricks that require a grab hole. The riders compete in a timed session, doing their best to exhibit their skills and impress the judges with the highest score. Free climbing is a form of climbing in which the performer climbs a rock formation without any other type of assistance or support besides their climbing harness. In case of flipping/falling, the only thing keeping the performer from tumbling down to the bottom is the safety rope and the clips anchored into the rock. Freediving is a form of underwater diving that involves the diver’s ability to hold their breath until resurfacing, unlike traditional diving that involves the breathing apparatus such as scuba gear. There are many forms of freediving activities that are either slightly less extreme, competitive and non-competitive compared to the main discipline, such as spearfishing, synchronized swimming, underwater hockey and much more. Freediving requires dedication, mindfulness and a lot of practice to be able to hold the breath for such long periods of time. Freeflying is a form of skydiving that involves freefalling in various vertical orientations, unlike the traditional belly-to-earth falling orientation. This enables the skydiver to extend into a vertical position, causing him to fall feet first or head first. Ultimately, this enables him to pick up more speed, making the sport slightly more dangerous than traditional skydiving. Freerunning is an acrobatic and athletic discipline involving moving over obstacles as quickly and efficiently as possible. Freerunning is a more inclusive form of parkour, which was then founded as the military obstacle course training to enable weapons avoidance efficiently closing a distance to an opponent. On the other hand, freerunning is only performed for the sake of aesthetics and acrobatics. Freeskiing is a specific form of alpine skiing involving jumps, tricks, and terrain park features, such as boxes, rails, jibs, or other obstacles. Thanks to freeskiing, snowboarding experienced a boom in combination with the progression of freestyle skiing. Freestyle motocross, also known as FMX, is a variation on the sport of motocross where motorcycle riders do their best to perform the best tricks and jumps to impress judges. There are two main types of freestyle events and those are; 1) Big Air – in which each rider gets two jumps, after which the judges get to decide whose performance was better; 2) Freestyle motocross – in which riders perform two routines, each lasting between 90 seconds and 14 minutes, after which the judges also decide about the winner. Freestyle scootering is an extreme sport involving using stunt scooters for performing tricks. Thanks to their lightweight nature and easy maneuverability, these scooters are perfect for using on a number of different terrains. This means people use them to perform tricks on flat ground, such as parking lots, in the street, on dirt, and most often, at skateparks. Whether on a bike, skateboard, snowboard or skis, people turn to half-pipes and launch ramps to resist gravity and perform tricks. It goes without saying that there is a certain level of error and injury coming along with the sport. Whether on a skateboard, bike, snowboard or skis, people turn to half-pipes and launch ramps to defy gravity and pull off some gnarly tricks. And of course, there is a certain level of error (and injury) that comes with this sport. Hang gliding is an air sport where a pilot is suspended from the gliders by a harness and the pilot flies into the air from a hill carried by aircraft called a hang glider. If no cliffs are available, it is also possible to be launched by being towed by a motorized winch on the land. The pilot can control the aircraft by shifting body weight in opposition to a control frame. Helicopter skiing or heliskiing is a type of backcountry skiing involving a helicopter to access remote areas and mountainsides and untouched snow. What separates heliskiing from other types of freeriding and backcountry skiing is that performers are carried by helicopter to the top of these remote slopes. Highlining is a type of slacklining at elevated heights. Performers set up a tightrope between buildings, at the top of trees, even across canyons and ravines. In case of a slip-up, the only thing keeping you from plummeting is a rope and harness attached to the line. Once a means of winter transport, ice canoeing has eventually become a sport that’s been gaining popularity over the years. The sport involves crews of five athletes who alternately push their canoe across the ice on the frozen parts of the river, and row in a river with currents of four knots, tides of over 15 ft, and ice blocks weighing a few tonnes blown by the wind. The sport also involves shoes with bolts screwed to the bottom to keep the athlete’s traction on the ice. Ice climbing is often practiced on massive ice formations such as icefalls, cliffs, frozen waterfalls, and rock slabs covered with frozen ice. As ice climbing opens itself up to all kinds of risks, it is essential that the climber choose specialized equipment to help them reach the top of the feature. Equipment ranges from specific ice climbing boots to ice screws and ice axes. It’s a highly competitive sport, a kind of combination of speed skating and hockey. Here, four people wearing pads and ice skates race down a track made of ice and filled with the usual obstacles of tight turns and sudden drops. Red Bulls Crashed Ice is one of the official world tours for the sport, in which professionals compete against each other. The winner is the one who reaches the bottom first. Ice diving is a kind of penetration diving where the diver goes under ice. As diving takes place under the ice, there usually is only a single entry/exit point, meaning the sport requires special procedures and equipment. Ice diving is done for the purpose of recreation, public safety, scientific research and as an extreme sport, of course. Ice hockey involves two teams, each usually consisting of six players wearing skates and competing on an ice rink. The goal is to propel a vulcanized rubber disk, also known as the puck, past a goal line and into a net guarded by a goaltender. Thanks to its dynamic and frequent physical contact, ice hockey has become one of the most popular international sports, leading it to become an Olympic sport. Ice skating involves moving on ice by using ice skates. It can be done for a number of reasons, including leisure, traveling, exercise, and various sports. Ice skating takes place both indoors and outdoors, on specially prepared ice surfaces (arenas, parks, tracks), as well as on naturally occurring bodies of frozen water, such as lakes, rivers, and ponds. Jet skiing is a high-speed water sport that is great for developing your coordination and balance skills, as well as your leg muscles. The sport is one of the most popular water activities due to its ability to reach high speeds while on an easily controllable watercraft. It’s probably the fastest water sport, and it’s no wonder many people attach adrenaline rush experiences to it. Also known as kiteboarding and kiting, kitesurfing uses the power of the wind to draw the athlete and the kiteboard across the water. This sport can also be performed on sand, snow, not only water. There are different styles of kitesurfing including freeride, freestyle, downwinders, course racing, speed kitesurfing, wakestyle kitesurfing, jumping focused kitesurfing and kitesurfing in the waves. Kneeboarding is a water sport where the athlete is towed on a hydrodynamically shaped board at a planing speed, most often behind a motorboat. In plain language, kneeboarding is a water boardsport that blends the characteristics of surfing, water skiing, and wakeboarding. Land windsurfing also referred to as terra sailing, land sailing, street sailing and such, is a sport similar to traditional windsurfing where a surfboard with wheels and sails is used to surf on land rather than water. A four-wheeled deck, similar to a skateboard or mountain board deck, is commonly used in combination with a mast and sail to project the board across the land. Longboarding is a sport where the performer uses a longboard for downhill races, in which some riders can reach speeds exceeding 50 mph. Unlike its set counterpart, the skateboard, a longboard varies in shape and size and has more stability, durability, and traction due to larger wheel size and lower wheel durometers. Luge/skeleton is gravity powered extreme sport in which the performer powers through a narrow, icy track on a small steel sled with their head or feet first. This is an extremely dangerous sport, hence a high level of skill and knowledge is required to prevent accidents. Motocross is one of the most popular off-road motorcycle activities, and as such, it’s a great sport to travel around the country to practice. The performers use specific robust motorcycles to travel through a track with jumps, hills, and sharp corners. Because of high speeds, bumpy tracks, and thrill moments, the sport is perfect for adrenaline junkies. Mountain biking, also known as downhill biking, is a gravity-assisted time trial mountain biking event. The performers race against the clock and use the similar equipment to that used in downhill skiing. As the name suggests, mountain biking is all about steep, downhill terrain with no extended climbing sections, which results in high-speed descents. Mountain boarding, also known as offroad boarding and dirtboarding, is a well-established extreme sport that uses mountain boards to race down all types of terrain for performing various tricks or even for downhill races. It’s a kind of combination between skateboarding and snowboarding. Mountaineering is the sport of climbing mountains. Traditionally, mountaineering is referred to as the sport of reaching the highest point of unclimbed big mountains. Despite popular belief, mountaineering doesn’t call for lots of expensive, technical mountaineering equipment, such as special mountaineering jackets and mountaineering boots. It all depends on what type of mountain terrain you are climbing. Today, mountaineering is divided into many subcategories which include traditional and sports rock climbing, hill walking, ice climbing, and alpinism or winter mountaineering. Standup paddleboarding, also known as sup, has been around in its current modern form for less than a decade. Unlike traditional surfing where the rider sits until a wave comes, standup paddleboarding riders stand on their boards and use a paddle to propel themselves through the water. Paragliding uses the same concept as hang gliding, but they are different in terms of a type of parachute used. In some cases, the sport also involves a propeller instead of a parachute. Also, the pilot sits in a harness which is connected to a fabric wing. Paragliders can reach great heights and soar for a few miles at the time. Parasailing is a watersport activity where usually a boat tows a person attached to a parasail wing along. As the moving anchor drives, the parasail wing lifts the person into the air. The sport can be a relaxing and scenic sport, but it can also trigger the adrenaline rush to kick in. Also known as freerunning, parkour is the art of moving from one point to another without using any aid or equipment. Initially intended for military training, parkour has become an urban extreme sport practiced in complex locations where participants use running, jumping and climbing to their greatest ability to overcome urban and natural obstacles. That being said, parkour calls for a lot of balance, body strength and problem-solving skills. Powerbocking is an activity where the performer uses special stilts that allow them to jump, run, and perform various acrobatic moves. These stilts are often made of aluminum and were first patented in 2004, intended for recreational and extreme sports use. Rafting is a common group leisure activity in which the performers use an inflatable raft or kayak to travel through rough, unstable water. Whitewater rafting as an extreme sport is often done on dangerous sections of water such as unexpected steep waterfalls, sharp rocks and more. Rallying is a form of motorsport that is performed on public or private roads with specially built road-legal cars and track roads. The sport is not done on a circuit but rather in a point-to-point format where participants and their co-drivers drive between set control points, leaving at regular intervals from one or more start points. Rock climbing involves climbing across natural rock or artificial rock walls, indoors or outdoors. This amazing sport requires a lot of endurance, body strength and problem-solving skills. Places such as indoor climbing centers and outdoor climbing walls allow for rock climbers to practice the sport all year around. Roller derby is a contact sport in which two teams of fourteen players roller skate anti-clockwise, in the same direction around a track. Each team has five players on track at a time, 4 blockers and 1 jammer. Jammers are distinguished by the stars on their helmets, and their goal is to score points by trying to overlap opposing players. It’s up to the blockers to negate this by stopping opposing jammers passing them, preventing points being scored. Though a “fun” experience for most people, running of the bulls is one of the more extreme sports. Typically held in Spain, Portugal, Southern France, and Mexico, the sport involves running in front of a cattle of bulls that have been let loose on the streets. At times, this results in a heart dropping experience, and consequently, fifteen people have lost their lives since 1924 to this sport. Sand kiting is just like kitesurfing but on the sand. Sand kiting uses a controllable power kite and a board that can be fitted with foot straps or bindings, depending on your skills and preference. Sand kiting works best on dunes but can also be performed on deserts and beaches. The sand that is fine and light rather than grainy will offer the best conditions for the sport. Make sure to always wear a helmet as the sport can get a bit rough at times. Very similar to snowboarding, sandboarding is performed on the sand. Performers will ride down a dune while standing on a board usually strapped to their feet. Sandboards are specifically designed to slide smoothly through the sand. What’s more, sandboarding isn’t as frequent as other sports as it’s hard to track down the perfect dune. Scootering is one of those exciting urban sports. Also referred to as “freestyle scootering”, it is highly comparable to BMXing and skateboarding, wherein there are tricks, terrains, and obstacles involved to display how talented and skilled the performer is. With its popularity, scootering helped scooter products evolve into a better and more enhanced machine in which performers could perform various styles and tricks in various terrains. Scuba diving is one of the most popular holiday, outdoor activities nowadays. Also considered to be an extreme sport by some, scuba diving can also provide an unforgettable underwater experience. Basically, SCUBA stands for Self Contained Underwater Breathing Apparatus, which means that the equipment included is a tank of oxygen strapped to your back that gives you the opportunity to go deeper and underwater for longer periods of time. Skateboarding involves riding a skateboard with the intent to perform jumps and various other tricks, often on a ramp. Many consider the sport to be an art form, and this is somewhat true as extreme skateboarding requires an incredible amount of strength, practice, and skill. Ski jumping is an Olympic sport that involves jumping off a ramp and landing softly on a hill. During the Olympics, ski jumpers are assessed by the distance of the jump and the level of technique throughout the jump. The sport can be very extreme and dangerous, especially for beginners and even just on a small scale. Skiing is the sport of sliding down snow-covered hills on skis with fixed-heel bindings. Also commonly referred to as downhill skiing, alpine skiing incorporates different styles such as ski mountaineering and nordic skiing. Alpine skiing is the most popular style as long as the combination of snow, mountain slopes, and a strong tourist infrastructure can be built up. Skimboarding is a popular boardsport wherein the performer uses a skimboard to skim across the water’s surface and meet a breaking wave. Though very similar to surfboards, skimboards come in smaller sizes and without fins. The beauty of the sport lies in the fact that the surfers do all sorts of maneuvers while on the board. Skimboarding starts on the beach by placing the skimboard on the thin wash of previous waves. The rider then is supposed to use the momentum to get to the breaking waves. Skydiving is perhaps one of the oldest of all extreme sports that originated over 200 years ago. The sport involves the skydiver jumping out of an airplane midflight and using a parachute to land safely to the ground. What’s more, the sport has since evolved into jumping from aircraft and doing a bunch of midair tricks before deploying the parachute. That said, the sport also comes with a significant amount of risk but is fun despite that and is practiced all over the globe. Slacklining is basically a combination of a balance training, recreation, and a moving meditation. At first glance, it looks similar to tightrope walking but is not as extreme. The sport is accomplished by stretching and tensioning a 1”– 2” wide length of polyester/nylon webbing between two anchor points, most often trees. Slacklining definitely requires maintaining concentration, fitness, balance skills, and core strength. Snowkiting is a snow, winter sport wherein people use kite power to glide on snow or ice. Though similar to kitesurfing, snowkiting also involves the footwear used in skiing or snowboarding. Back in the day, foil kites were the most common. Nowadays, these are replaced with kitesurfers that use their water gear such as inflatable kites. Snowkiting is different from other alpine sports in the fact that it’s possible for the snowiter to travel uphill and downhill with any wind direction. Nonetheless, it is paramount that the sport is learned and practiced with care. Snowboarding is a winter sport that became part of the Olympics in 1998. Developed in the US in the 1960s to 1970s, this sport involves descending a slope covered with snow whilst standing on a board attached to a rider’s feet, using a special boot set onto a mounted binding. Snowboarding was inspired by skateboarding, surfing, sledding, and skiing. A snowmobile is a land vehicle designed for winter travel and recreation on snow. It is built to be driven on snow and ice, and require no trail or road. Often being large (over 600 pounds), these powerful machines require training to ensure complete safety. Aside from being used for recreation or as a hobby, snowmobiles are also used in various sports and in extreme conditions. What’s more, these can achieve high speeds, go off jumps, and even run over water for short periods of time. Snowshoeing is one of the oldest. Over time, the sport has become more sophisticated, which resulted in it becoming a winter sport. From the early wood-frame to the aluminum-frame models, snowshoeing has earned plenty of followers all over the world. Modern snowshoeing gathers casual snowshoers who do it for pleasure, the enthusiasts who trek through the backcountry, and the competitors who race. As the name suggests, snowskating is a winter sport intended primarily to allow for skateboard-style tricks on the snow. Snowskating is a kind of hybrid between snowboarding and skateboarding. A snowskate keeps the relative shape of a skateboard/longboard without trucks and wheels and with some added functional improvements. Some snowskates come as a single deck, whereas others come with a top deck and a subdeck. Solo climbing is one of the more extreme sports where a group of people practice the sport without any safety rope or form of protection, just a good pair of climbing shoes and favorite chalk bag. Speed skating is a competitive form of ice skating wherein the performers’ race each other in traveling a certain distance on skates. There are various speed skating types such as short track speed skating, long track speed skating, and marathon speed skating. The sport is an Olympic sport, and here long-track speed skating is often referred to as just speed skating. Street luge is yet another gravity powered extreme sport that is pretty much similar to bobsledding with a narrow track but this time it’s on a road. Riders use a custom-made luge board to power through the tracks at speeds up to 60 mph, using only their feet to stop. This sport is exhilarating and dangerous at the same time. Supercross, or the AMA Supercross Championship, takes place on a man-made course in a stadium or arena. Riders tackle high jumps, whoops, and lots of turns and curves. There is one 20-lap race to determine the winner. The Supercross series involves 17 races, determines the winner using a points system, and the rider with the most points at the end of the season wins the Supercross championship. Surfing is perhaps the most popular water sport. It involves riding moving waves to move smoothly across the water. Though primarily practiced in the ocean, surfers can also use rivers and lakes where artificial waves can be created by a machine. All you need for this addictive sport is a surfboard and a strong willpower to dominate the water. Tobogganing is a sport similar to sledging, allowing an individual to sit and slide down a snow-clad slope. According to many, tobogganing is more sedate than skiing or boarding yet offers a mild adrenaline rush. For this reason, it’s ideal for a family holiday with kids. Paintball is a modern, quickly evolving adrenalin sport, which requires more than just strength, speed, agility and a good physical condition. During a paintball game, you will need a fair deal of tactical thinking while staying coolheaded. There are numerous varieties of paintball, but what is common for all of them is two teams competing against each other. When it comes to equipment, paintball weapons vaguely resemble real guns and pistols, but they function on the concept of compressed air or carbon dioxide. Wakeboarding is a water sport often done at the recreational level and ideal for beginners. Another form of wakeboarding is cable wakeboarding where the rider holds onto a rope which is pulled by a mechanism that riders the rider and the wakeboard around the water. To add an extra level of adrenaline, wakeboarding circuits often include challenging jumps and obstacles. If you couldn’t have thought of the scariest extreme sport, waterfall kayaking could be the one. This sport involves traveling in a kayak through waterfalls often at a very steep and through extremely fast currents. What’s more, not only are drops high, reaching around 180 ft at times, but there is also a technique increasing your chances to successfully land, which involves tucking up and landing nose first so as to absorb a bit of the impact from a high freefall and ride through the water successfully. Waterskiing is a very popular recreational activity around the world that is also practiced on a professional and competitive level. The sport involves an individual being pulled by a motorboat usually at high speeds. The individual can choose to use either one slalom ski or two skis to coast along the surface of the water. Waveski is a surfing sport involving riding the waves using the paddle power of a sit on top kayak that is as maneuverable and capable as a surfboard.A Waveski resembles a larger surfboard. The difference, however, is that you are seated and turn with body movements and a paddle, enabling the rider to “Eskimo roll” if overturned. Whitewater kayaking was originally a means of transportation developed by Eskimos that involved passing through whitewater rapids on their way down the rivers. Over time, it grew to become an extreme sport when people discovered the thrill of kayaking in surging water. Simply put, windsurfing is a combination of surfing and sailing. The sport involves an individual using a longboard powered by the wind with a sail attached to the board. Advanced windsurfers are capable of performing various tricks, jumps, and loops on the water. On top of that, depending on the difficulty of the waves, this sport can be a recreational activity and exhilarating sport at the same time. Wingsuit flying is a popular thrilling activity that involves gliding through the air using a wingsuit. The wingsuit is designed in a way to have a larger surface area than the standard human body, thereby allowing ample lift, improved steering capacities and achieving maximum hang time in the air. XPogo is an extreme version of pogo involving all types of tricks, flips, and jumps up to 9 ft in the air. Using a pogo stick, you can perform skillful yet dangerous moves. This relatively new sport is already increasing its fan base because of its thrilling nature. Zorbing is a fun activity every child can practice. The sport is the act of rolling down a hill in a giant inflatable ball, also known as an orb. Some also practice zorbing on the water surface where the orb is floating on the water. It can a very fun activity but also a creative experience for people of all ages. Quality posts is the crucial to interest the users to go to see the website, that’s what this site is providing. great. Keeep up the great posts. Great! Could you share with us your twitter account?